The crowd swelled, pressing closer to the person next to me. Then someone shouted, “Wrists Up!! !” Instinctively we all shot our hand straight up into the air. This was it. We were inside the marshalling area, a sea of coloured glittering faces spilled out across the greens of Hyde Park. My heart was unequivocally moved by the love and joy spread out before me. There under a Port Jackson Fig Tree, the Leather and Fetish people had met. Moving to join them I straightened my sash and scanned for familiar faces. We sat and watched the people as they went past, in all the colours of the rainbow. It wasn’t long before we ushered the group towards the float. The lights and the music switched on as night fell. The air was electric with excitement. As our float pulled into position for the parade everyone was so completely in the moment, all with a smile that could not be wiped from their faces. We were marching, I looked about and all I could see was people. Faces full with pride and love, looking back at us from the street and any balcony the eye could see. I march proudly for my community. I march proudly for my love. I march proudly for my club. It was an honour to be able to march with titleholders from all over Australia, including Girl Ang, International Ms Leather. 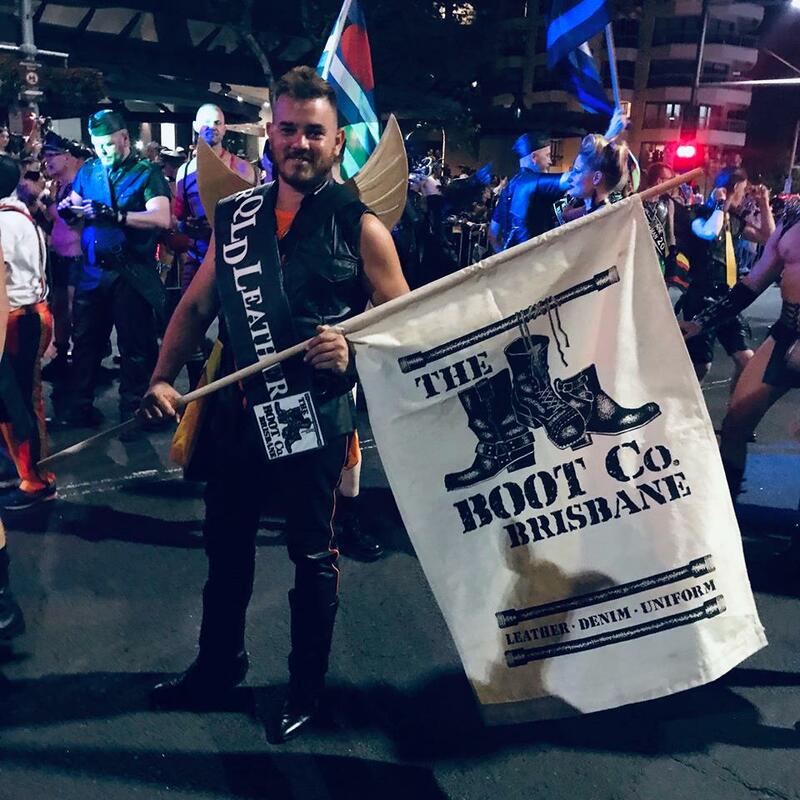 The most important person I could say I marched with is Andrew Goldberg Queensland Leather Boy 2018. Not only did we take Titles together but we grew together, Andy marched in a very important piece of leather belonging to someone we both hold near and dear to our hearts. With this, we marched with Pride and Love.